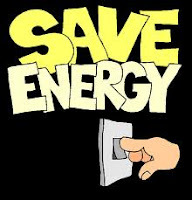 Are you also looking for ways to save energy and money at home? Well, I nearly fainted seeing my monthly bills ballooning in the past year, So, I started to implement the austerity program in my household. I keep on looking for ways and learn ideas on how I can decrease or at least regulate my monthly water and electricity billing statements . Here are some money saving ideas and tips that I’ve learned and religiously applying in my household. Home Saving Tip 1: Distinguish between Wants and Needs. 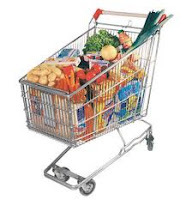 Once inside the supermarket/grocery store, I keep on reminding myself to focus on buying first the high priority items and what is really needed. So, in order for me not to splurge on anything, am only bringing enough cash for my needed things to buy and in order to stay within the budget too. Home Saving Tip 2 - Put those PC's to sleep please .. Your first step is to make sure power management has been activated on all your computers. This home energy saving tip will help to conserve energy quite quickly. If budget permits, replace old CRT monitors with the LCD/LED monitors. 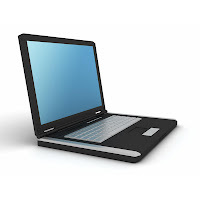 LCD monitors consumes much less energy. For the long term, you should consider if a laptop is appropriate for your next upgrade or purchase. They consume less energy than normal desktop and monitor combinations. 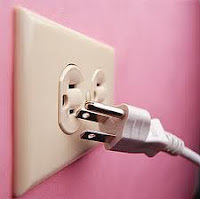 Home Saving Tip 3 - Off does not always mean off ... Unplug those appliances when not needed or not in use. Electric Fans, printer, air conditioning unit, washing machine, radio, TV and DVD player, etc. Home Saving Tip 4 - Can you see the light? Turn off lights when you leave the room or when daylight lighting is sufficient. Use compact fluorescent (Energy Star rated) bulbs to replace incandescent bulbs, when they burn out. They use about 25% of normal bulbs and last 10 times longer. · Make sure you check the energy label before you buy. · Consider the size of the family and the size of the unit you want to buy. · It is usually less costly to run one larger refrigerator than two smaller ones, but check the energy consumption on the label when assessing the options. · Two door refrigerators with a top or bottom freezer are generally more efficient Automatic ice-makers and through-the-door dispensers will increase both the energy use and the purchase price. · Manual defrost models have tended to use less energy than frost free models (automatic defrost), but these must be defrosted periodically to remain energy efficient. However, the best frost free models on the market are now as good as manual defrost models, you may check this in appliance stores. 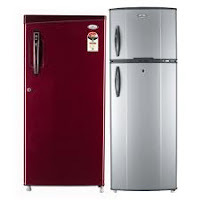 · If two different sized refrigerators use the same amount of energy, the larger model can be considered more efficient because it keeps more space cold with same amount of electricity. 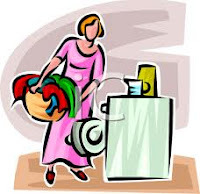 Home Saving Tip 6 – Doing the laundry once or twice a week is a wise way to conserve energy and water. 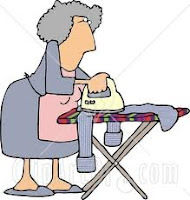 Home Saving Tip 7 – Ironing clothes may also be scheduled once or twice a week. The best time to do this job is in the morning, wherein the weather is still cool and less appliances are still being used. Home Saving Tip 8 - Encourage your children to save a portion of their monetary “baon” In my home, we buy them big piggy banks where they put their savings, they start saving from January, then we cull their piggies on December, so that they can buy what they want with their savings and save again the remaining cash on hand. Home Saving Tip 9 - If you are having economic difficulties with your present home mortgage, considering a conventional refinance program can bring you substantial benefits. Refinancing is a good idea and it makes financial sense to lessen your monetary predicaments. Reliable funding companies like HARP mortgage refinance can provide great financing transactions for flexible refinancing needs which in the same way could offer a much better deal on your current mortgage. I am still looking for ways on how to set money aside for later use instead of burning a hole in my pocket paying unreasonable bills, So, feel free to contribute if you have other tips to add. Thank you for the tips, they are great! Nice article here! I'm looking for house and lot for sale in cagayan de oro you have any suggestions?